There are eight units of competency registered as the ADAS Certificate III in Hyperbaric Operations (Hyperbaric Worker – Tunnelling). To gain the qualification the worker must prove competency in all eight units. Assessment is a combination of recognition of prior learning through entry prerequisites, and information and skills taught and assessed during course. While it may be possible for an experienced hyperbaric worker to gain the qualification by recognition of prior learning (RPL) and assessment only, the most common route is with a combination of training and RPL. Work safely and effectively in tunnelling. Any worker that that does not have the listed prerequisites will require additional training prior to certification. As the majority of tunnel workers have all of the above prerequisites which meet the requirements for RPL for the first five units of competency the remaining units can be delivered in a 24 hour period, usually over three eight hour days. The course includes a 1 bar test compression and a 5 bar narcosis test. The 1 bar test should be completed on the TBM if possible and the 5 bar test is completed in the medical lock. Theory topics include legislation, risk assessment, TBM details, physics, anatomy, physiology, hyperbaric maladies, gas poisoning, decompression illness, decompression tables, fire risks and tunnelling procedures. 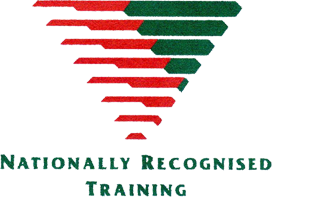 This course meets the training requirements listed in the Australian Standard AS4774, Work in tunnels, shafts and caissons, and is accredited under the Australian Qualifications Framework (AQF) as Nationally Recognised Training at VET Certificate 3 level. The cost includes the provision of a Hyperbaric Workers Log Book and course text book, The Hyperbaric Tunnel Worker’s Handbook, for each student. The course is limited to a maximum of 12 students per course.